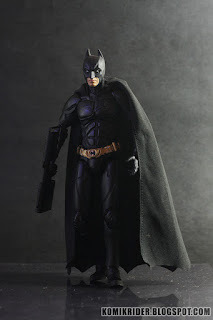 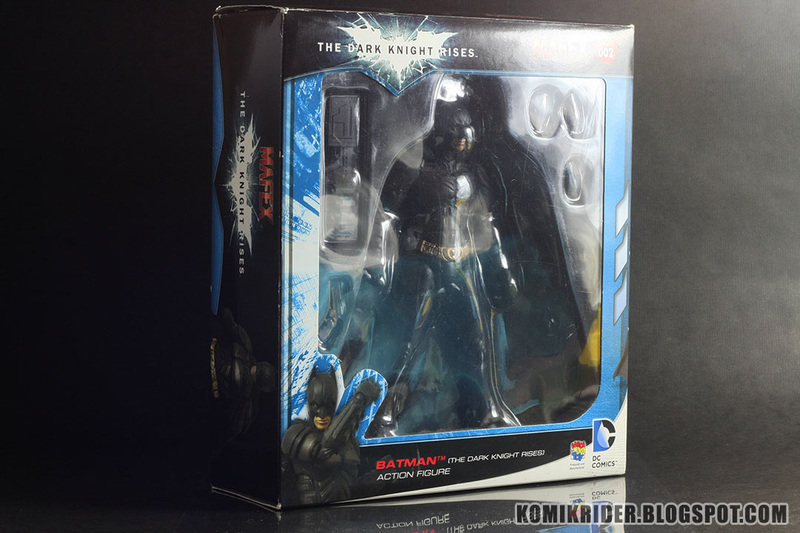 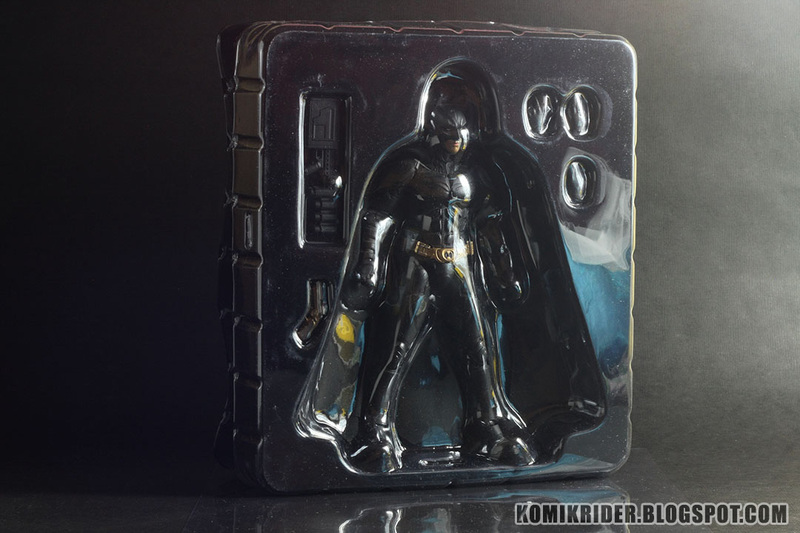 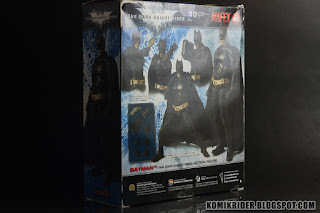 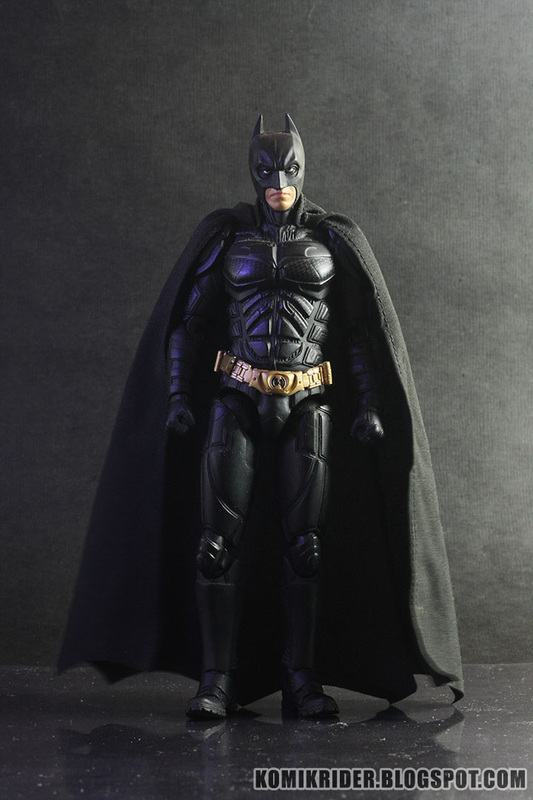 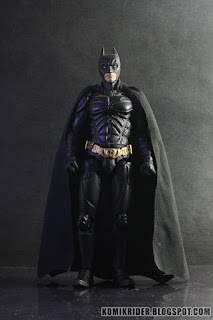 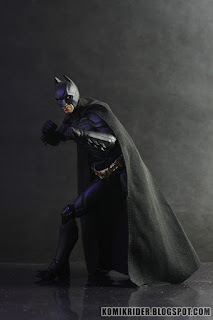 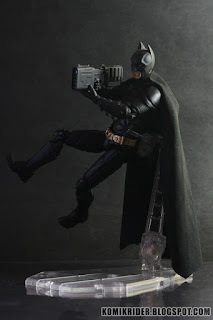 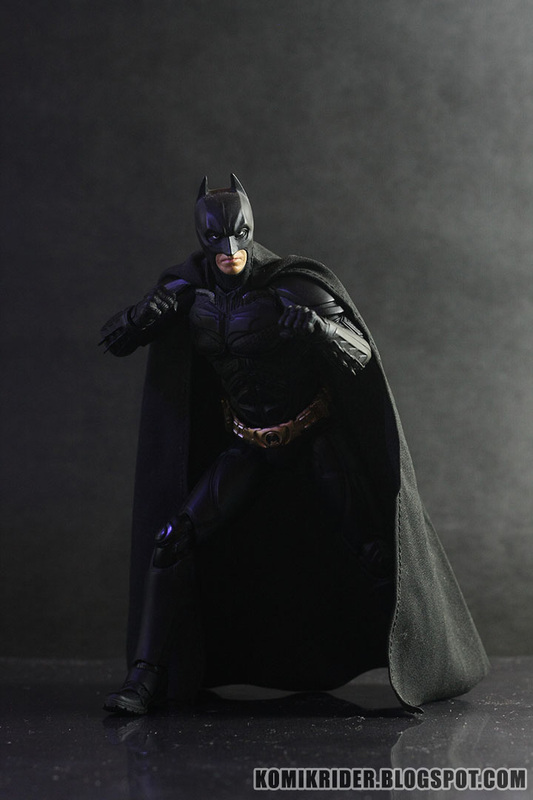 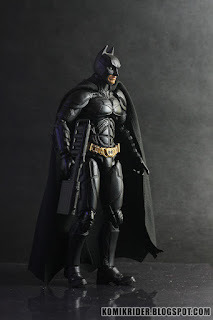 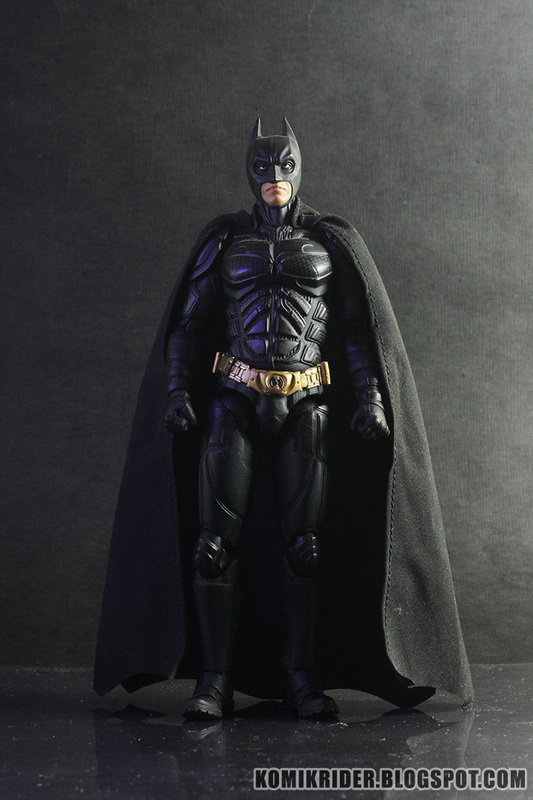 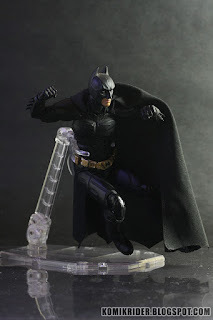 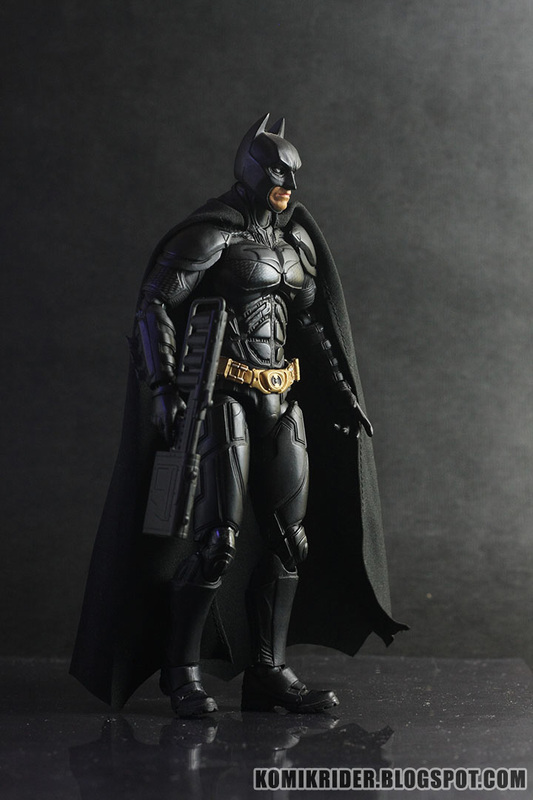 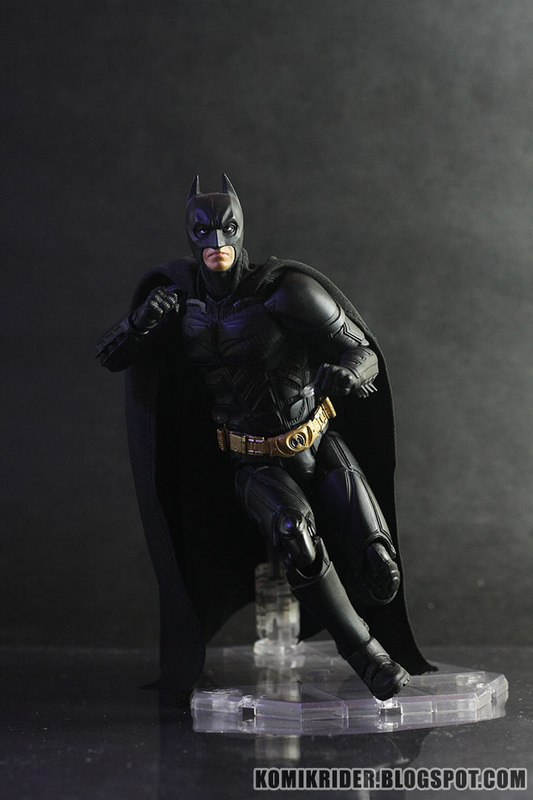 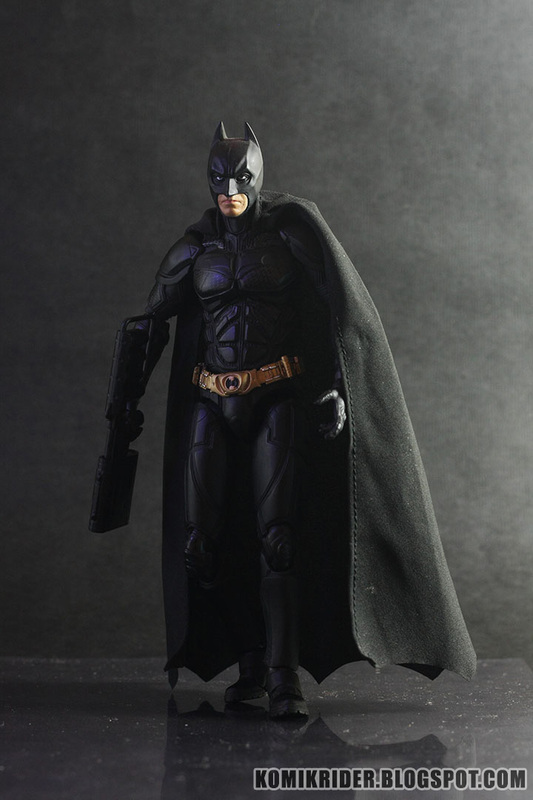 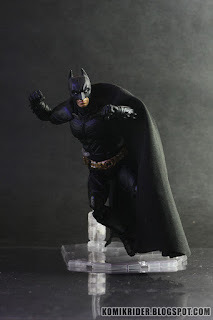 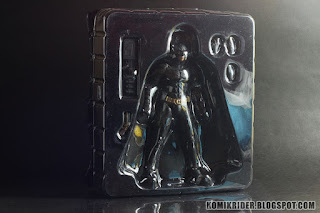 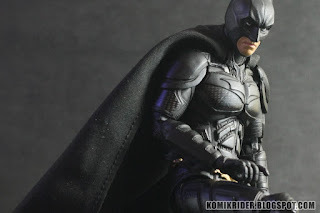 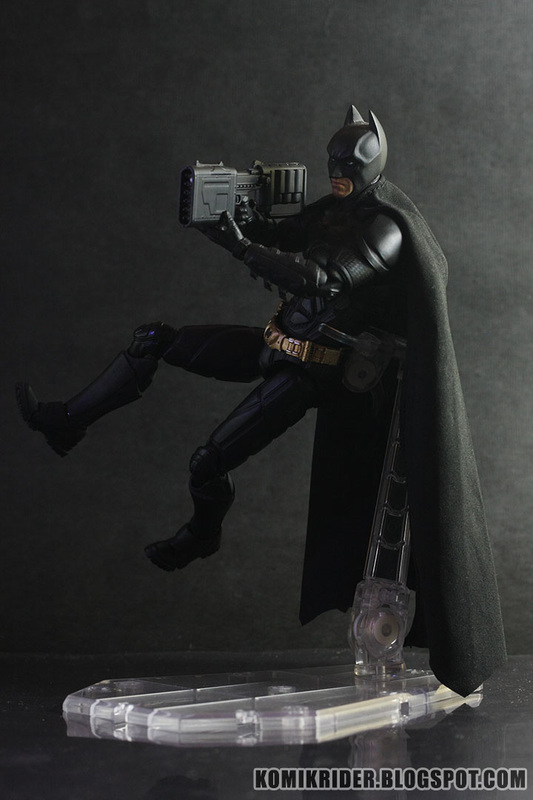 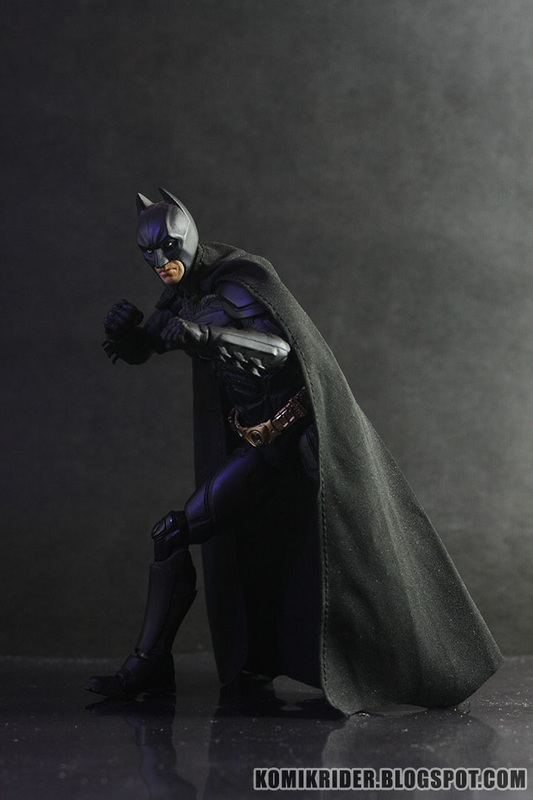 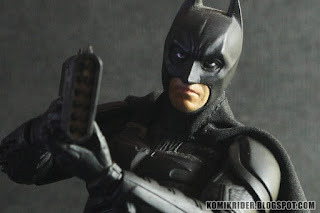 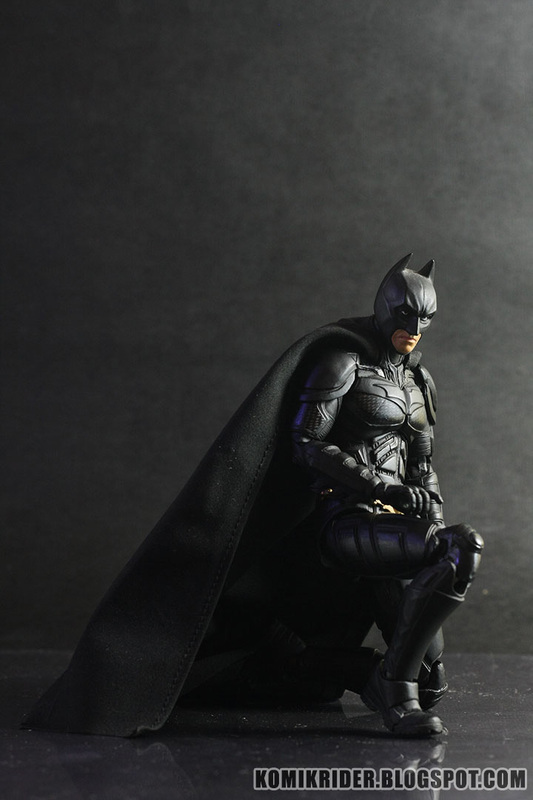 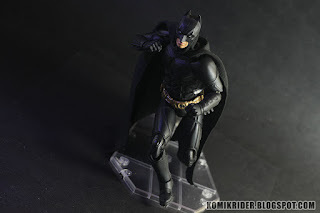 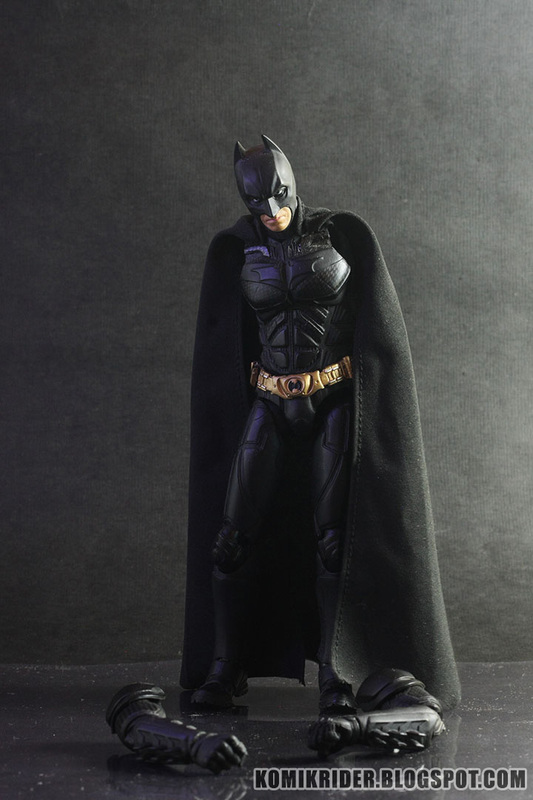 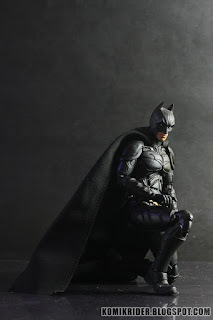 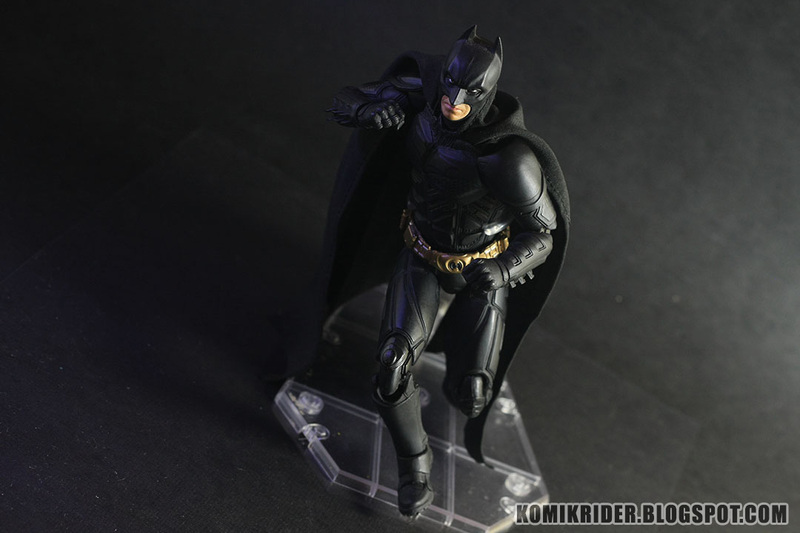 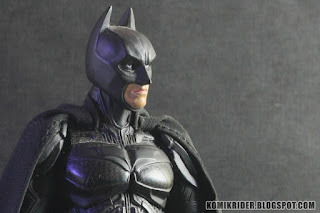 Mafex 002 Batman the Dark Knight Rises ! I never bought Mafex figure before so this one is my first. 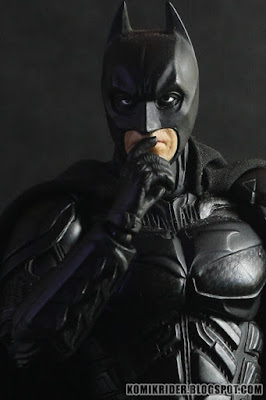 Probably because western figures are not really popular at where I live. 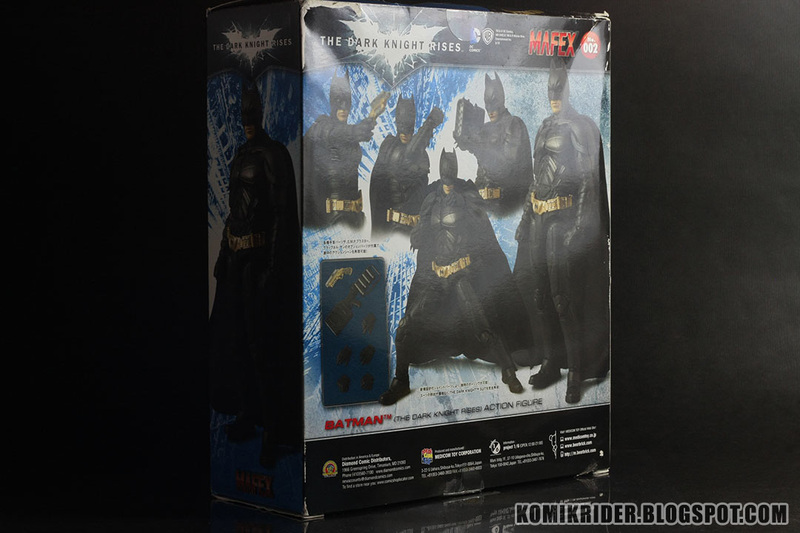 Here's some photos of the box and what's inside the box. Also, the figure comes with a stand but I forgot to take photo of it. 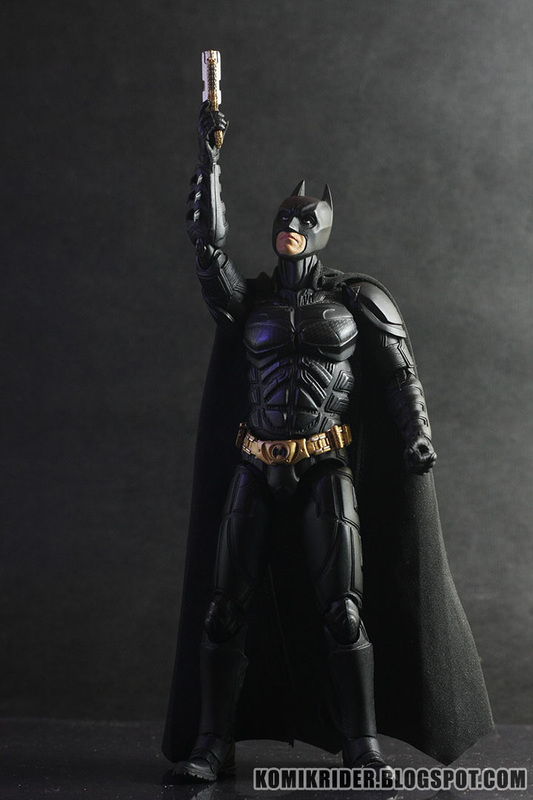 There's not much hands, but yeah it's enough to fight crimes. The details are great, and looks very cool. The cape is made from I don't know, thin fabric. 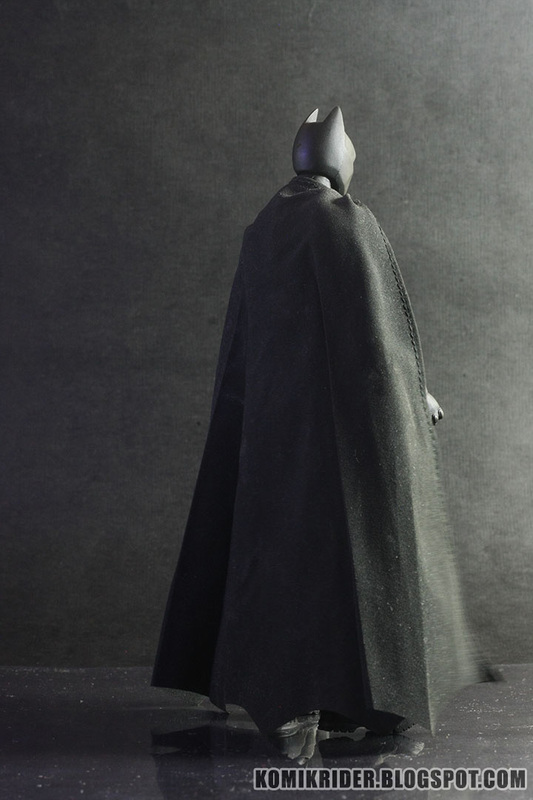 It's good, because it feels like a cape, I always wanted a fabric cape, unlike the usual rubbery plastic cape on other figures, but I think the fabric is too thin, making it looks cheap. 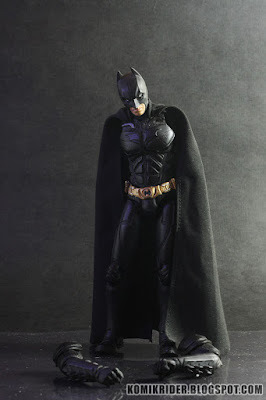 So I kind of missing the usual rubbery plastic cape instead fabric cape. 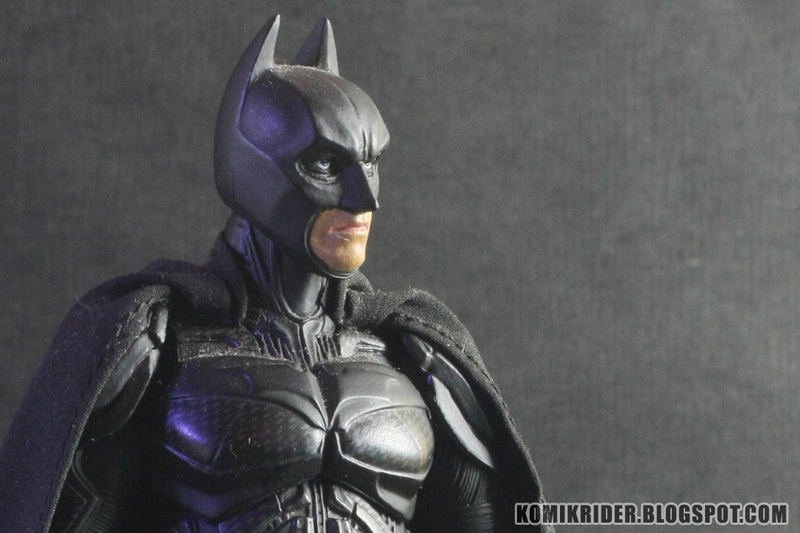 The head sculpt is pretty nice, it has the straight face emotion that Batman usually makes. 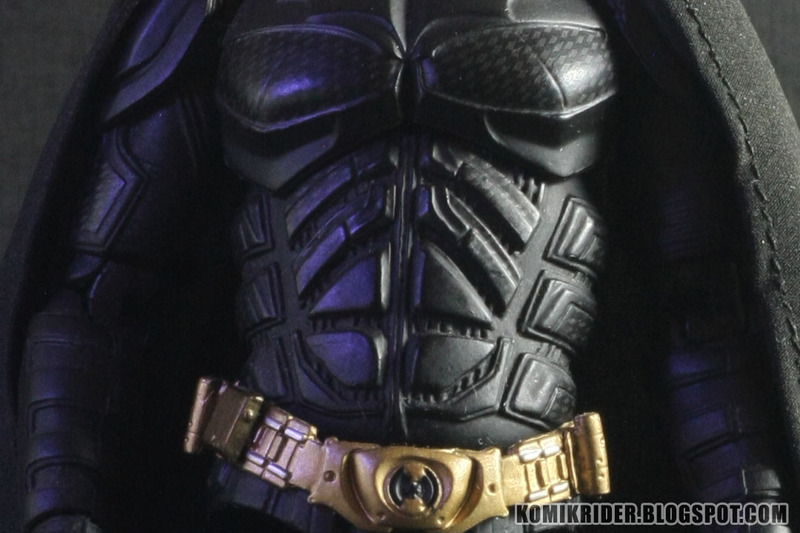 The only thing I don't like is the eyes, I'm tempted to paint it white. 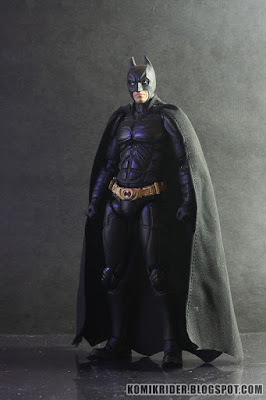 There's an issue with this figure though. 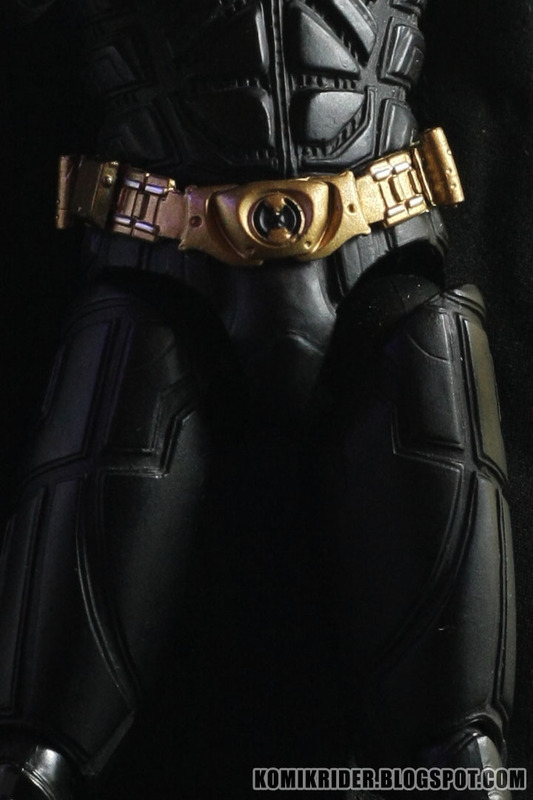 The arms are easily popped off. 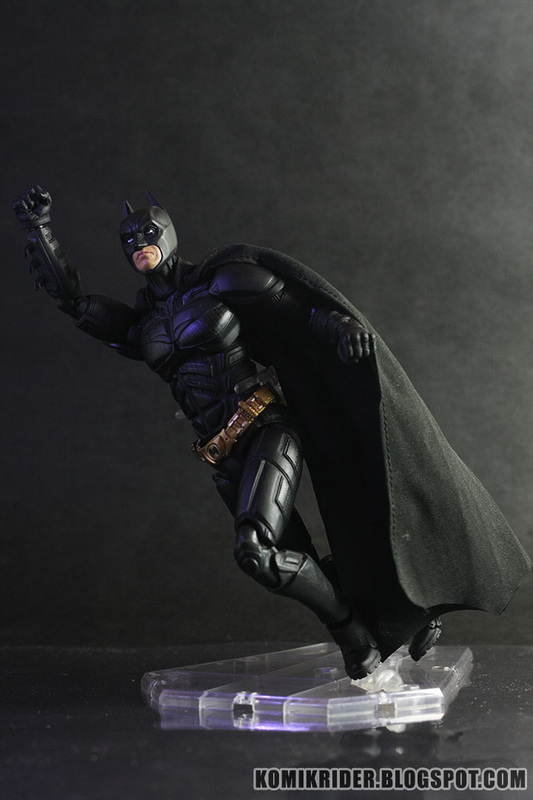 I just tried to bend his arms a bit and pop, it comes off. 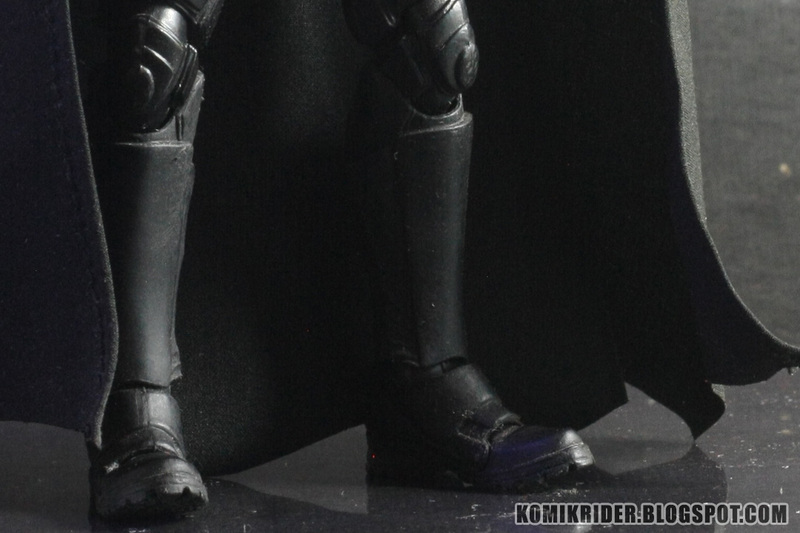 This isn't really bothering me because it could be attached easily. 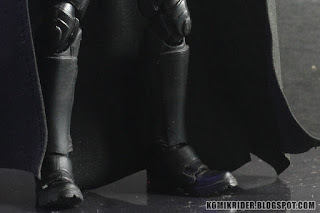 I don't know if this figure is really fragile or just my bad luck, but my Batman's right knee joint is broken after I played around and making few poses. 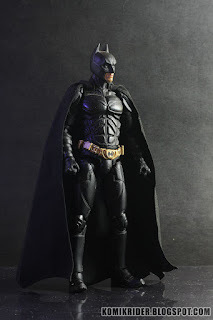 I'm pretty disappointed back then, but luckily there's a guy on Facebook who can fix broken figure, so voila, Batman is back in action. This review is made after the right leg is repaired, the repairman did a good job fixing it. 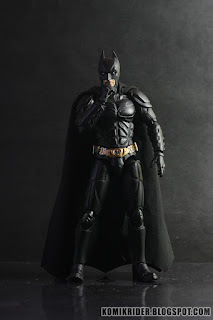 Yeah, Mafex Batman is quite satisfying for me, but it kinda makes me don't want to buy another Mafex because I rarely break my figure and I never have this issue with another figure line like SHFiguarts, SIC, Figma, and many more. 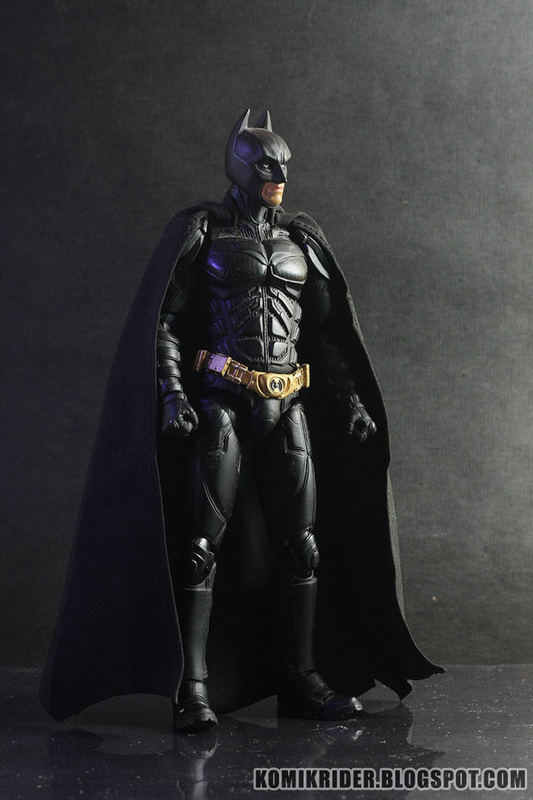 This figure has good details, articulations, and materials. 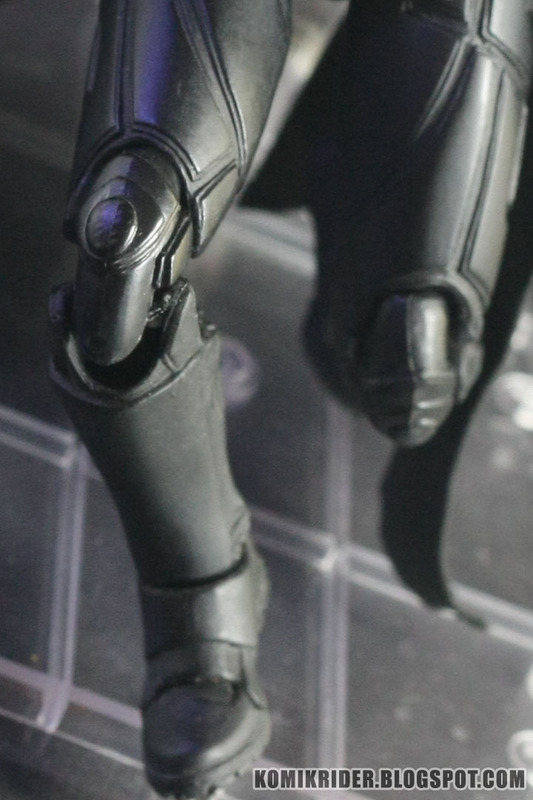 But it kinda feels sloppy and fragile (Probably just me being insecure because the broken leg). 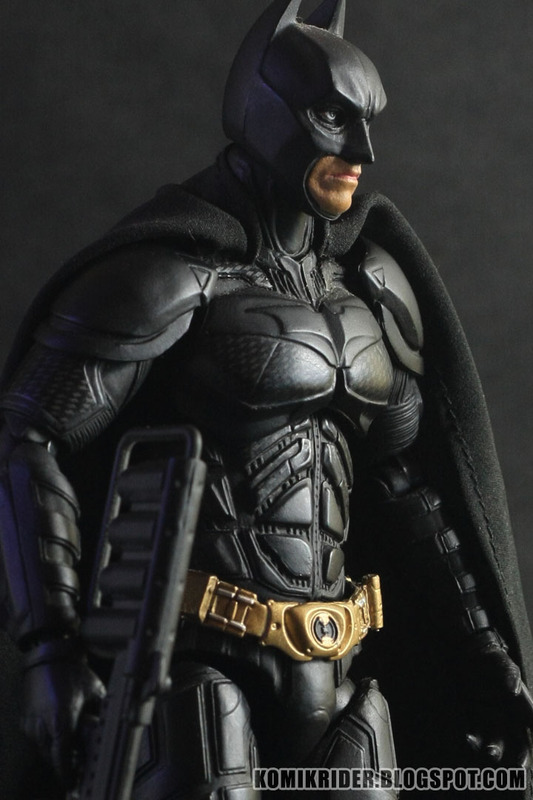 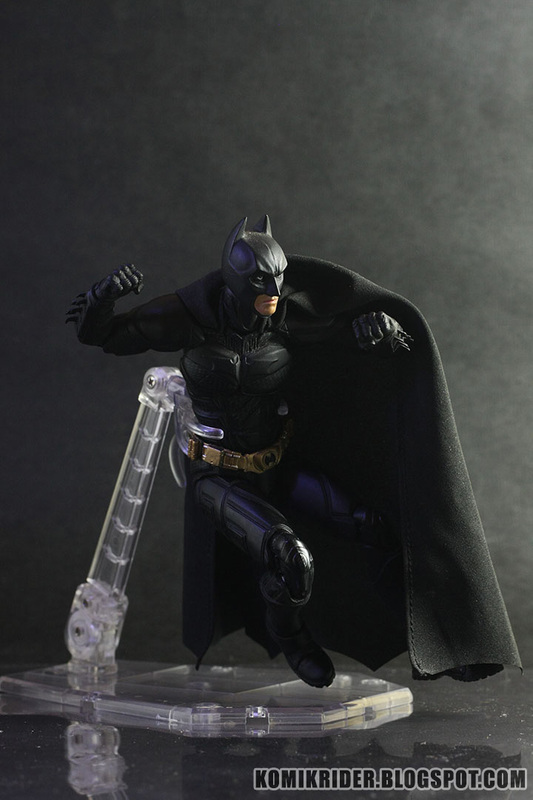 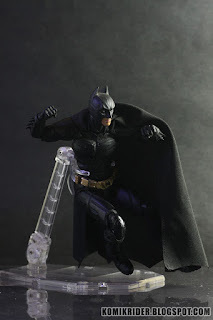 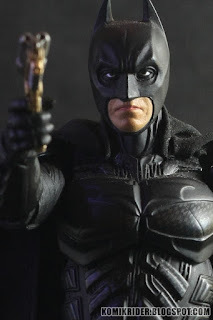 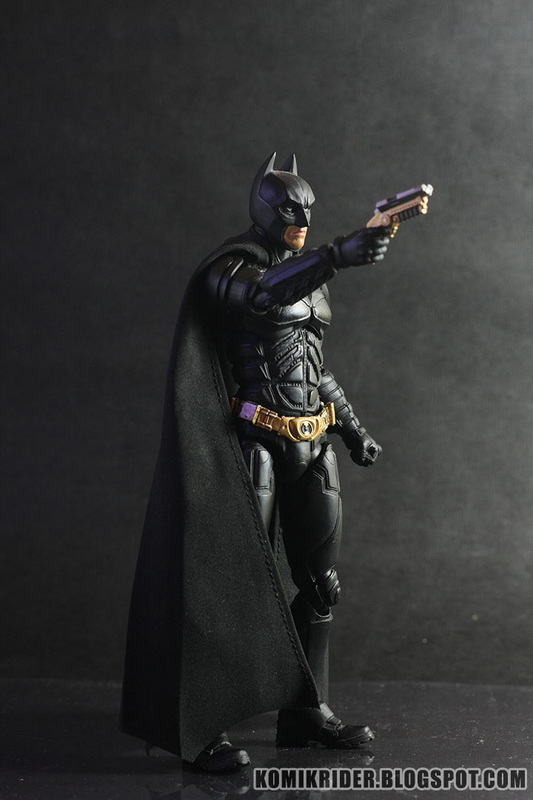 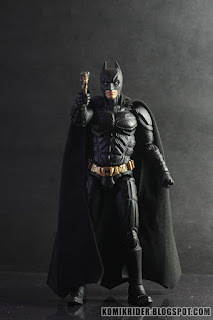 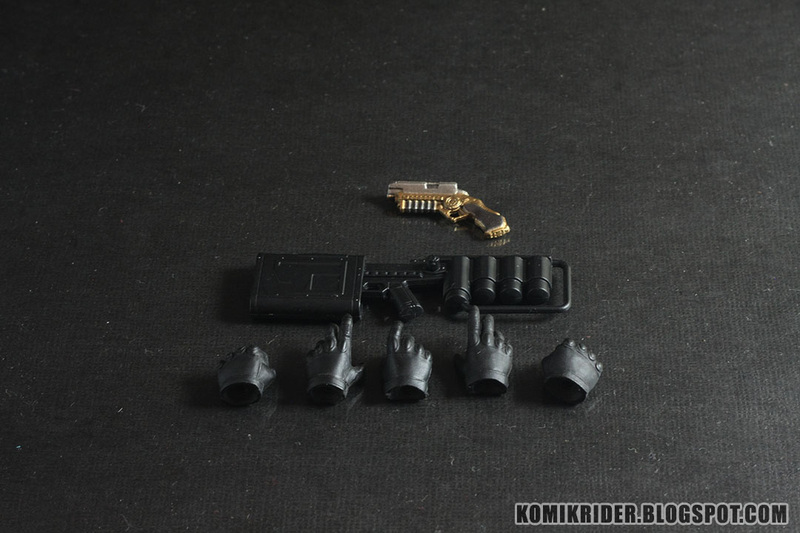 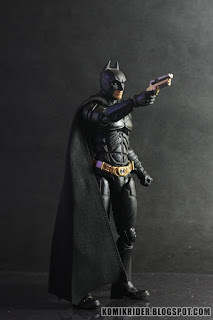 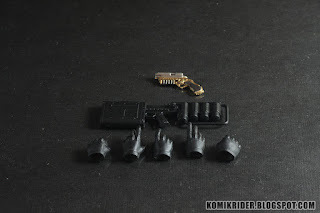 There's even a renewed Mafex Batman with more accessories and optional head, maybe I was wrong to buy this one. 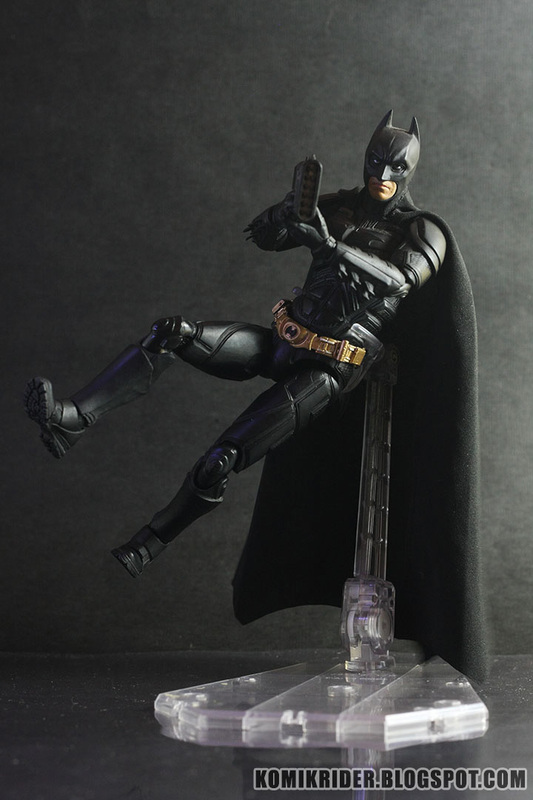 Should've bought the ver. 2.0. Despite all of the cons, this figure is still great. 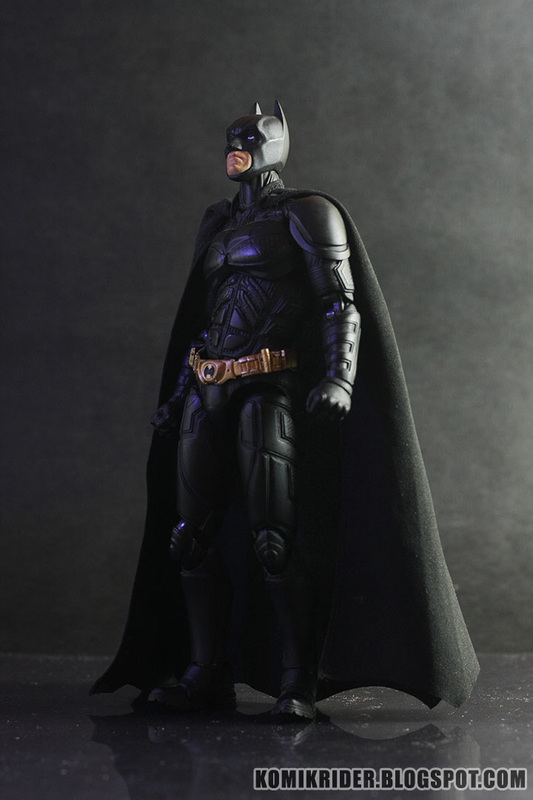 Even better if you're Batman fan. I think that's it from me, see you later in the next post!